At Advantage Overhead Doors, we pride ourselves on offering an extensive	array of product selections for our customers to choose from. Because	we serve both homes and businesses in the area, we understand that our	customers have a diverse range of needs when it comes to picking a garage	door. Our inventory offers products from the best manufacturers in the	industry, and you will be sure to find the right fit for your design,	functionality, and budgetary requirements! 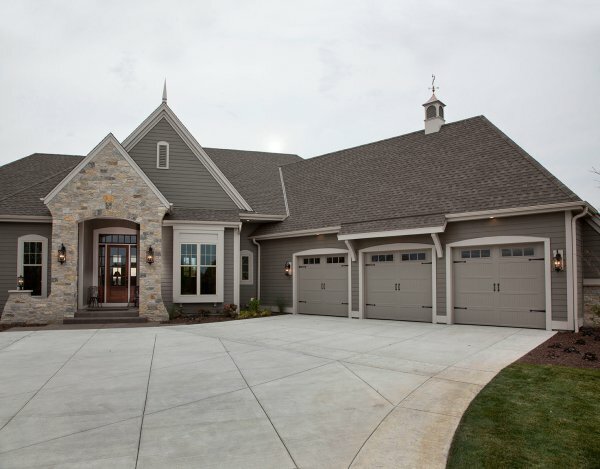 Carriage house garage doors:	Very popular, and available in a wide range of styles and window options,	carriage house garage doors are a fantastic way to create a distinctive	look that goes well with nearly any type of home. Insulated traditional style garage doors:	We offer insulated traditional style garage doors from the high-quality	manufacturer Haas Door. These doors are simple, elegant, and provide the	necessary R-value for your home. Un-insulated traditional style garage doors:	Low-maintenance, durable, and great-looking, our un-insulated traditional	garage doors are offered in raised panel, recessed panel, long panel,	and flush panel designs. Contemporary garage doors:	Sleek and sophisticated, contemporary garage doors provide a more modern	look and can be used as much for visual appeal as it can for traditional	functionality. Our selection is made to be rust and corrosion free. Commercial garage doors:	The garage door needs of businesses are highly unique, and our company	offers commercial customers options with an exceptional level of quality	and versatility. From budgetary concerns to safety requirements, our friendly and professional	representatives will be happy to guide you through every decision point	in the selection process. We make it a priority to ensure that you find	the perfect product fit for your home or business. Call our Higganum garage door repair and installation company now at (860) 345-2144 and learn more!